Chesterfield have signed former Colchester, Luton and MK Dons forward Dean Morgan on a one-year deal. The 26-year-old was released by the Dons in May, but had an offer to stay at Aldershot, where he had been playing on loan at the end of last season. 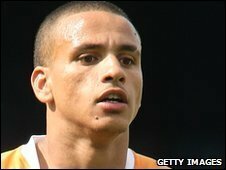 Morgan has also played for Reading, and has had loan spells at Southend, Crewe and Leyton Orient. He goes straight into the squad for the Spireites' home game against Hereford on Saturday.